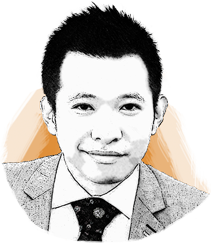 Wei Gao's primary responsibility is the management of Key Accounts. Wei manages the relationships between primary contacts and provides support for the Media and Public Relations needs of clients. Utilizing his degree in Communication from Southern Connecticut State University, his fluency in Chinese and Japanese, as well as his extensive knowledge of the Asian-American marketing sector, Wei has directed life sciences and healthcare companies such as to successfully launch consumer growth and global branding campaigns.